As part of Kelvin and Kim Taylor’s renovations to their farm stay at Waymount Farm, they decided that a stone entrance to the property would complete their aspirations. Working closely with Stonehedge we came up with a design including two dry look pillars on either side of the entrance and incorporating a funnel effect dry stone wall leading you onto the property. 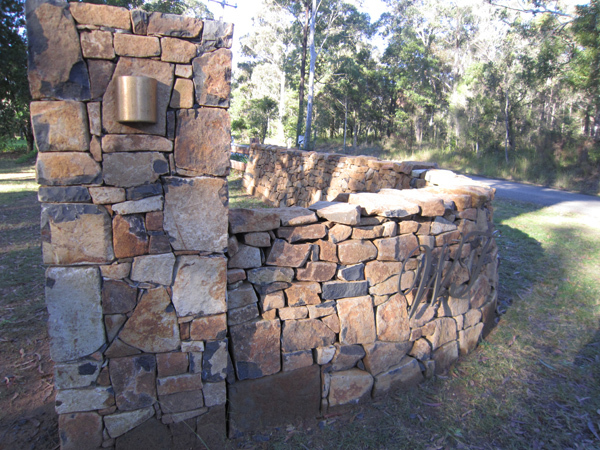 Sourcing the right stone for dry walling was critical in ensuring the life of the walls and stone colour that balanced well with the bushland surroundings. As with all stonework, lighting can be added to great effect and signage can also be displayed.